The first 2010 "Animal Rescue Site $100,000 Shelter+ Challenge - together with PetFinder.com" was a huge success and resulted in monetary awards for the following animal rescue organizations in the Best Friends Southeast Region - Humane Society of Elmore County (Alabama), Pet Rescue by Judy (Florida), Internet Miniature Pinscher Service, Inc. (Georgia/Alabama), Cat Haven, Inc. (Louisiana) and Community Animal Rescue and Adoption, Inc. (Mississippi). Each of these five organizations received $1,000 at the end of the Challenge for getting the most votes in their State during the 12-week voting period. Additionally, Pet Rescue by Judy received an additional $1,000 for being one of the two top vote-recipients in Week 10 of the Challenge. The most recent Challenge ran from January 18 through April 18. During the 12-week Challenge, more than 2.5 million votes were cast for more than 12,000 animal rescue groups. Eighty-five grants were awarded during the Challenge including a $10,000 grand prize (Copper Country Humane Society of Houghton, Michigan) and three $3,000 "honorable mention" grants (Denison City Pound of Denison, Iowa, Best Friends Animal Society and Rolling Dog Ranch Animal Sanctuary of Ovando Montana). The Humane Society of Elmore County is a non-profit, 501(c)3, organization located in Wetumpka, Alabama (northeast of Montgomery in south-central Alabama) Their shelter is an open admission shelter which has been operating since 1993 accepts over 5,000 domestic animals annually from Elmore County citizens and Animal Control Officers (ACOs). On any given day, the Shelter cares for 250-300 animals. 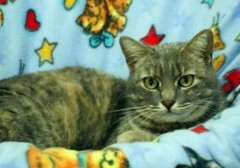 Shelter personnel seek to find loving forever homes for as many of them as possible. The Humane Society also provides education to the public on a variety of issues related to companion animals and animal welfare. The Society"s operational expenses are met through donations from private individuals, groups and businesses, fund-raising activities, grants, adoption fees and the contracts they have with local governments cities and the county to accept animals from their ACOs. Pet Rescue By Judy is a non-profit 501(c)(3) organization located in Sanford, Florida dedicated to the rescue of cats and dogs, many which arrive with immediate medical needs. The group"s primary goal is to rescue animals that are abandoned or in distress, update their vaccines and provide other necessary medical care, and find forever homes for them. They also seek to provide proactive education that results in a decrease in the number of animals that need to be "rescued." Their multi -prong education approach seeks to inform pet parents and the general public about the proper care of animals, including an adequate diet of good quality food, fresh clean water, daily exercise, and lots of love as well as the benefits spaying and neutering companion animals to prevent over-population and decrease the number of animals that are euthanized. They also provide individuals with information about low-cost spay/neuter clinics and wellness centers in their local community. The mission of the Internet Miniature Pinscher Service, Inc. (IMPS) (organized in July 1998) is to improve the lives of homeless and abandoned Miniature Pinschers through rescue and provide the love and respect that accompanies humane care, compassion and kindness. The group assists Miniature Pinschers in need by providing foster care, transport, adoptive homes, veterinary care, and other necessary services. All dogs placed through IMPS are spayed or neutered prior to placement and have been evaluated by a breed specialist for appropriate temperament and training needs. A donation to the organization is requested with each adoption so that they may continue to care for their ill and injured foster dogs. Cat Haven Inc. is a non-profit organization in Baton Rouge, Louisiana which was established in 1999 to rescue and place cats and kittens in loving homes. Since its inception, the organization has rescued and found homes for over 5,000 cats. One of the primary adoption methods is hosting adoption events every Saturday at various locations in the Baton Rouge area. All cats adopted through Cat Haven have been spayed or neutered, tested for feline leukemia and feline immunodeficiency virus, received age appropriate basic vaccinations, and microchipped. Cat Haven also has an active Feral Cat Program that has trapped, neutered and returned over 4,000 cats in the community. This Program reduces the potential for more stray cats in the future and saves hundreds of kittens from the feral cat cycle by transferring them to the adoption program. Cat Haven has no paid staff and relies exclusively on its volunteers, members and donors to continue its work. The organization hosts annual events, such as the "Cat Tales & Cocktails Gala" held every September, to raise money for their programs and daily operating expenses. Local veterinarians provide quality health care to Cat Haven cats at reduced rates so that the cats and kittens get the healthy start they need before going to their new forever homes. Community Animal Rescue and Adoption, Inc.
(CARA) is a non profit "no-kill" animal rescue group located in Jackson, Mississippi that provides food, shelter and care for over 300 abused, unwanted and stray cats and dogs on any given day. CARA is operated primarily by volunteers along with a few part-time paid employees and relies solely on private donations from individuals and businesses and fund raising events to meet their daily operating and other expenses. The primary goal of CARA is to find loving, caring homes for its adoptable animals thereby enhancing the life-long bond between animals and people. Their services focus on promoting responsible pet ownership through community education on proper care and treatment of all pets and the importance of spaying and neutering all companion animals. Voting for the next Challenge begins on May 17, 2010 and ends on August 22, 2010. All animal rescue groups registered as active members with Petfinder.com as of May 7, 2010 will be eligible to participate in the Challenge. Visitors to The Animal Rescue website can choose from a list of more than 12,000 animal rescue and welfare organizations and can vote once each day to determine which organizations will share in the grant funds. Staff, volunteers and supporters of Petfinder.com organizations are encouraged to vote for their own organizations, subject to the one vote per person per day limitation. 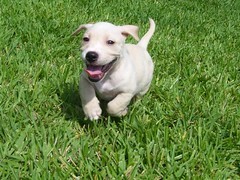 Click here to visit The Animal Rescue Site webpage. 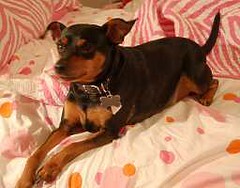 Cookie (miniature pinscher) - Internet Miniature Pinscher Service, Inc.
Sofia (gray tabby) - Cat Haven, Inc.
Deuce (Rottweiller) - Community Animal Rescue and Adoption, Inc.